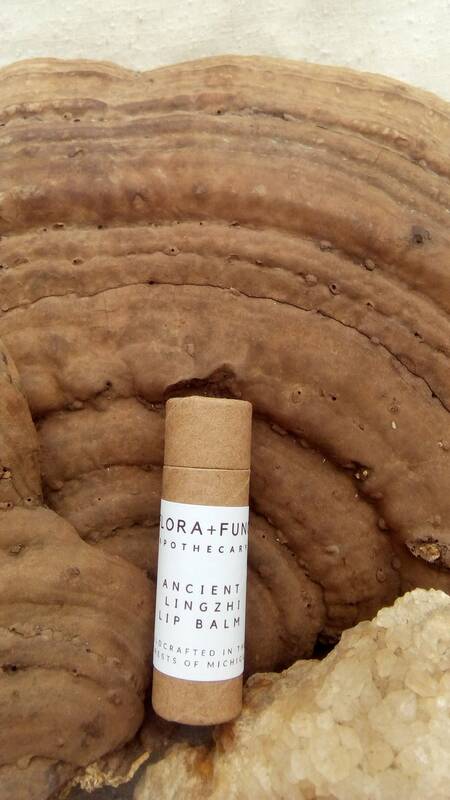 Ancient Lingzhi (Ganoderma Applanatum) a member of the Reishi family grows abundantly in the forests of Michigan, recycling the nutrients of dead trees into new life. 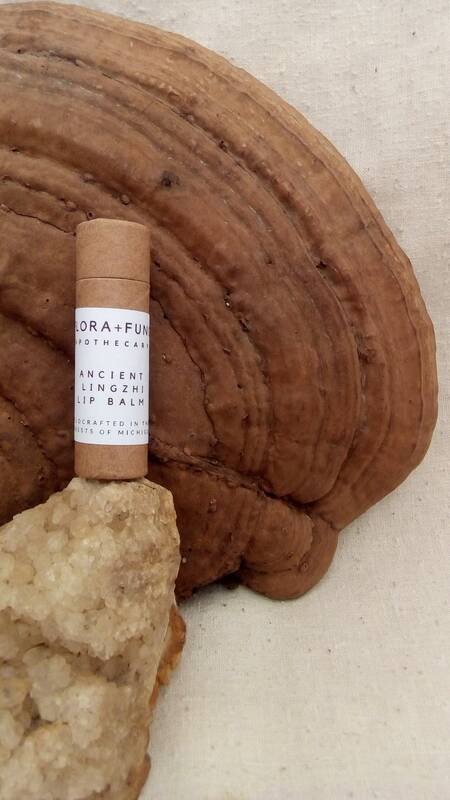 Full of vitamins, antioxidants and polysaccharides, we take wild harvested Ancient Lingzhi mushrooms and infuse their properties into organic Safflower oil which we combine with organic Mango butter and organic Beeswax which we scent with wildcrafted Peru Balsam and organic Bergamont essential oil. 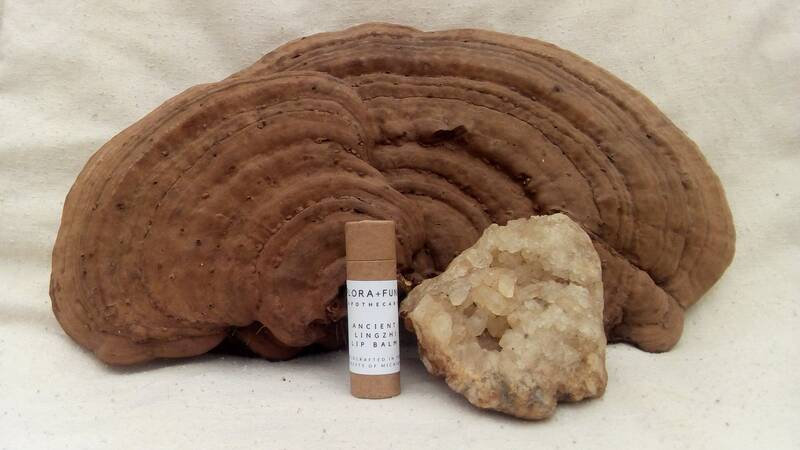 Each stick contains 1/2 oz. 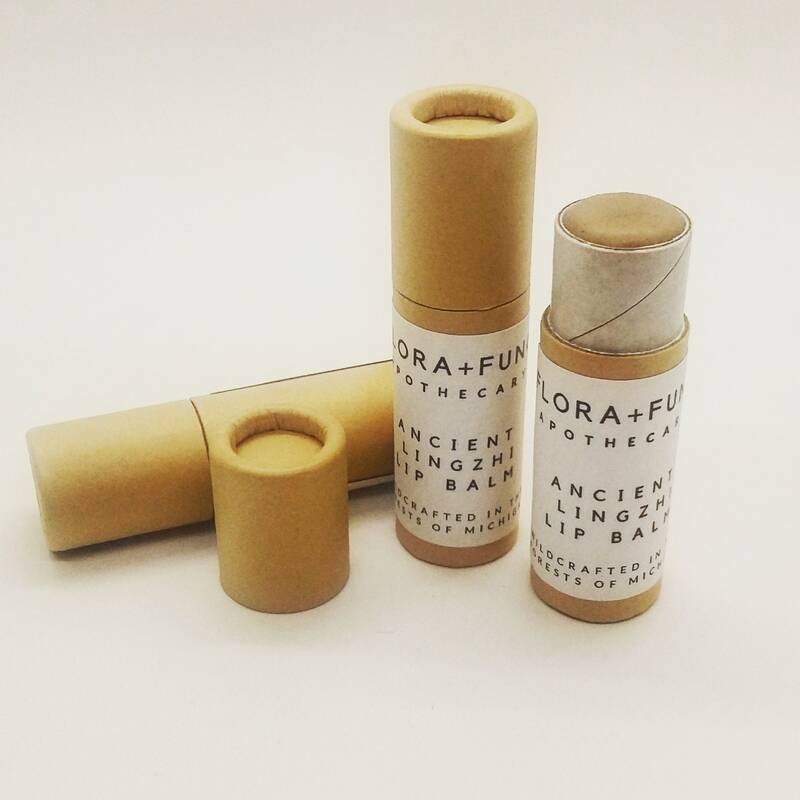 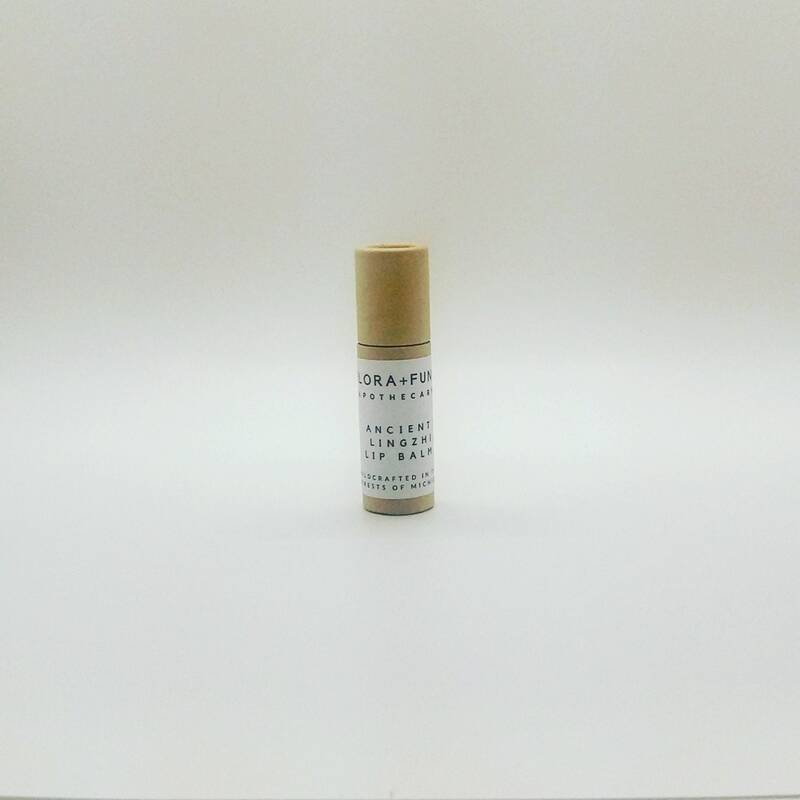 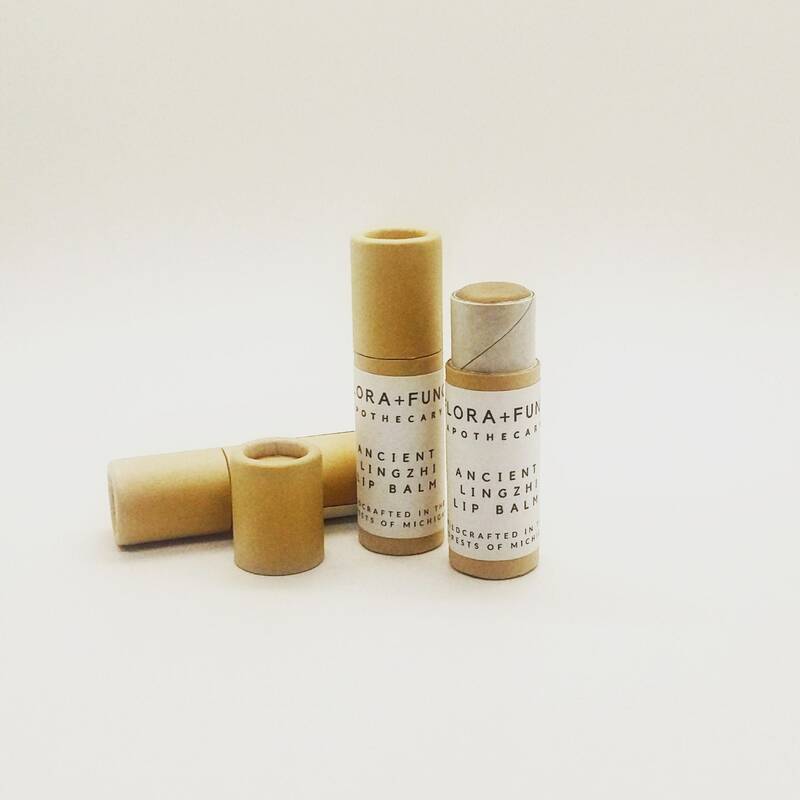 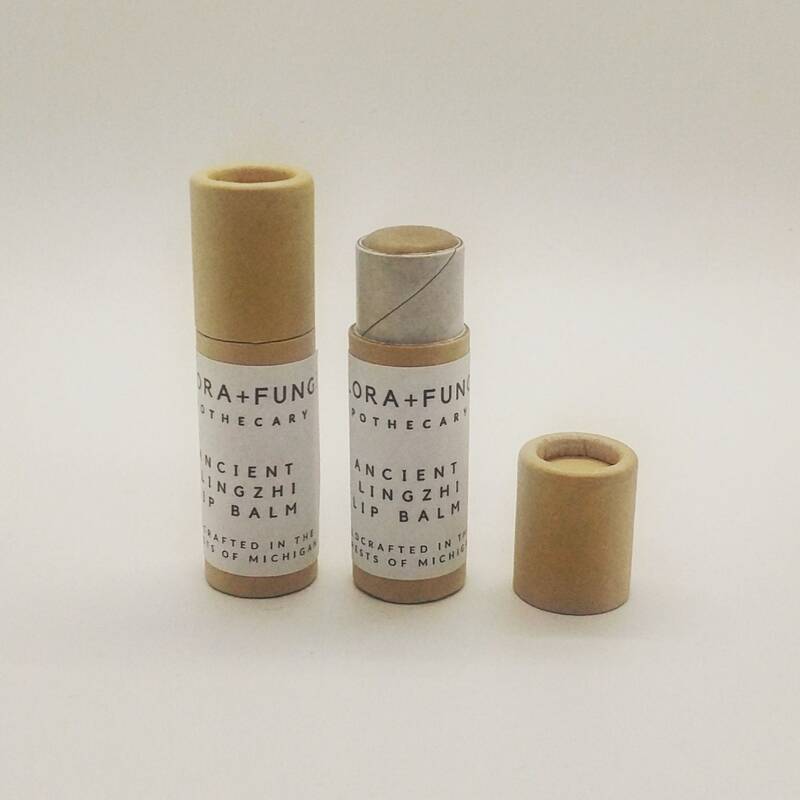 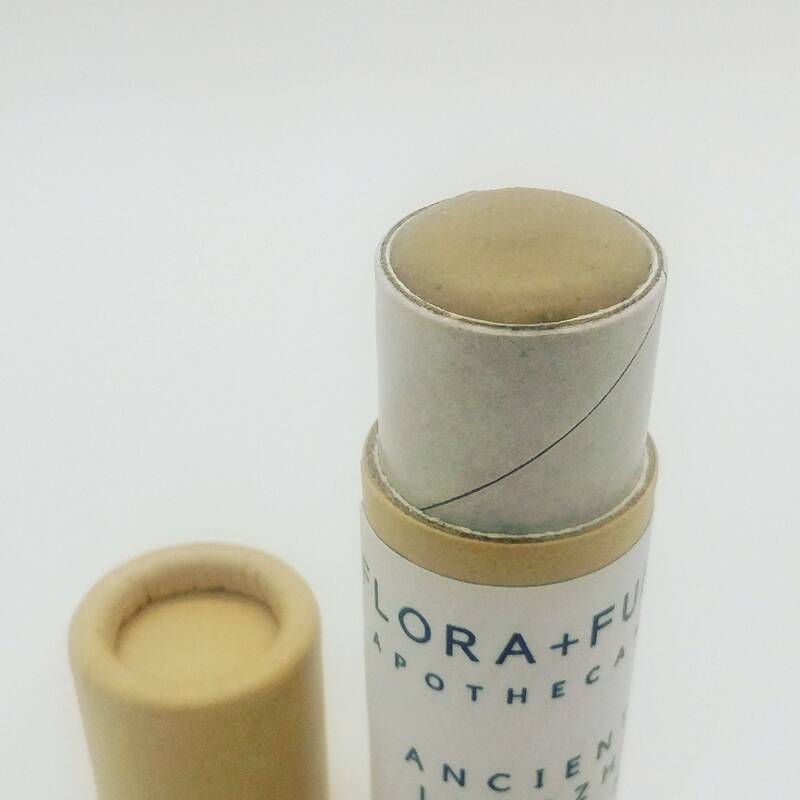 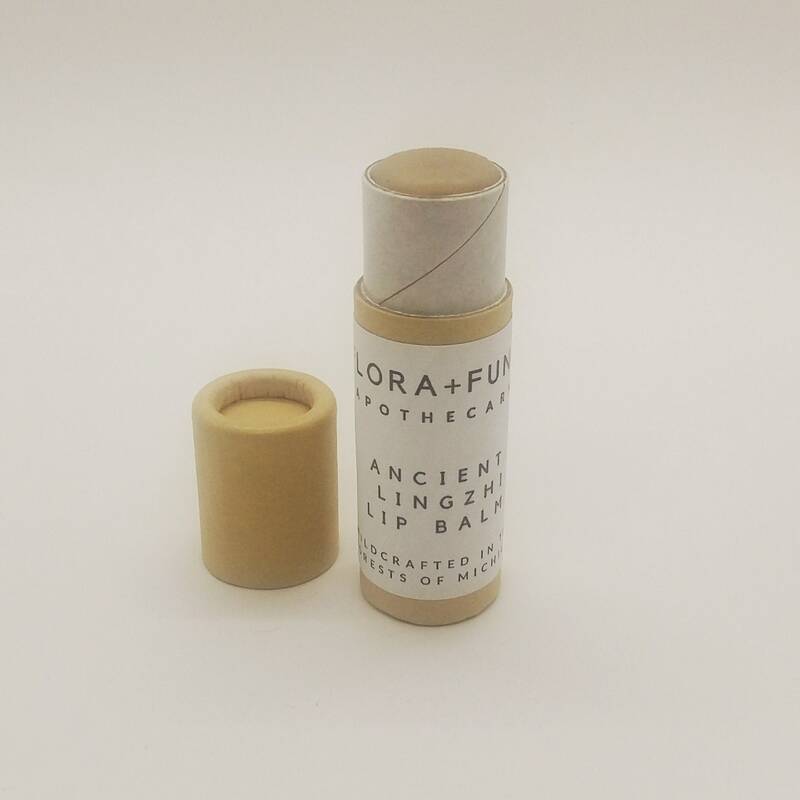 lip balm in a 100% biodegradable push-up tube.